Although many organisations have published modern slavery statements, the level of compliance has been less than 50% and there has been criticism levelled at the Home Office for failing to take any enforcement action. This blog provides an update on the current position. Earlier this year, the Home Office published its second interim report setting out recommendations for strengthening the requirements of section 54 (Transparency in Supply Chains) in the UK Modern Slavery Act. CIPS published our blog about the key issues that were tabled for review. The Home Office has announced that during April and May 2019 it will be undertaking an audit of in scope companies’ and organisations’ compliance with Section 54 of the Act. The data set that ensues from the audit will provide details of whether organisations ‘in scope’ of Section 54 have published a Modern Slavery Statement, and if so whether their Statement meets each of the legal minimum requirements and the standards set out in the statutory guidance. The primary use of the data will be for the Home Office to improve compliance with the legislation. The information provided by the audit will inform future targeted communications to businesses and may also be used to inform enforcement action against non-compliant companies, potentially including publishing a list of non-compliant companies, and/or the use of injunctions against non-compliant companies. If a business fails to produce a slavery and human trafficking statement for a particular financial year, the Act provides the Secretary of State the power to seek an injunction through the High Court requiring the organisation to comply. How do I know if the law applies to me? The UK Modern Slavery Act 2015 (MSA) requires businesses operating in UK (with a turnover of £36 million or more) to publish an annual modern slavery statement within six months after the end of the organisation’s financial year. To be compliant with the MSA, companies are required to show the steps they have taken to eradicate modern slavery and human trafficking and demonstrate improvements on their previous MSA Statement. Download our FREE flowchart to help you determine if the law applies to your organisation. Why do I need to improve my statement? Some companies are simply putting a new date on their statements. Whilst there is currently no mandatory reporting requirement to update the information in the statement, the Guidance to the Act requires that companies improve their statements every year and are able to demonstrate their improvements every year. And more and more NGO’s and other companies are benchmarking the performance of companies. See for example the BHRC report ‘ From disclosure to action’ on the FTSE 100 and the Global Governance FTSE 100 league table. Ardea International has been working with business and organisations since the inception of the Act. In partnership with the Global Governance Research fund we are running an interactive workshop for organisations on how to develop or improve their modern slavery statements. SIGN UP today! 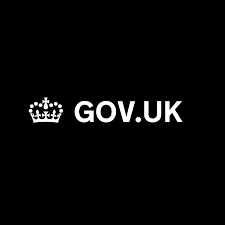 Home • News & Insights • Publications • Is your organisation ready for the Home Office audit on modern slavery statements?